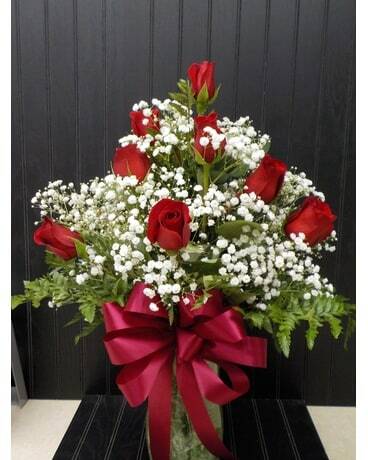 1 Dozen Red Roses Arranged in a Vase with Greens & Baby's Breath. Can Be done in Mixed colors or Just one color. Please Specify if you would like another color or mixed. With single colors please give us 1st, 2nd & 3rd color choices. Approx. Size: 15" X 24"